The bodies of the black and Indian women in the city were for sale. Beyond their enslavement, that is, they sold themselves or were sexually trafficked. Not all, of course, perhaps not even most, but very many. It was partly the obvious—extreme poverty and the economy of racial brutality—and partly a transplantation of urban English culture. Read London diaries from around this time—that of a young William Byrd, for instance—he could hardly get across the city without hiring at least two prostitutes. The German had not been with a woman in months, and had been on a ship for two of those. And was a passionate man. And rumored (or one should say, believed) to possess ideas of sexual morality that bordered on libertinage. He was noticing. We mention it. Apart from that, his reactions must be wondered at. They were evolving. We know they were different than the cycle of lust-and-disgust that characterized the town’s nightlife. He had come to this place in order, conscious or not, to participate in precisely this chaos and the fertilities it produced or made room for, a new kind of space that existed, he believed, under ambiguous governance. The Prime Minister of Paradise will tell, for the first time in a comprehensive way, the story of the lost utopian Christian Gottlieb Priber, one of the most fascinating and least understood figures of early American history. In the 1730s, he left his home in Germany and sailed to South Carolina, where he lived among the Cherokee Indians, working to establish a multiracial enlightenment city on the frontier. The English spent six years trying to capture him, and when they succeeded, threw him into an island prison off the coast of Georgia. He died there, and the manuscript of his book—an American utopian manifesto written a full generation before the Declaration of Independence—perished with him. Or so the encyclopedias say. This book will show that neither author nor text disappeared as thoroughly as has been assumed. 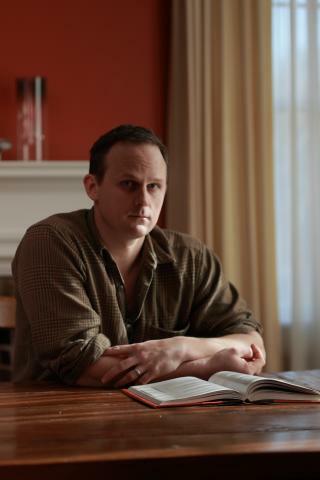 John Jeremiah Sullivan is a contributing writer for The New York Times Magazine, a contributing editor of Harper’s Magazine and southern editor of The Paris Review. Sullivan was born in Louisville, Kentucky. He is the author of Blood Horses: Notes of a Sportswriter’s Son (Picador, 2004) and Pulphead: Essays (FSG, 2011). Sullivan is the recipient of two National Magazine Awards, a 2004 Whiting Award, a 2011 Pushcart Prize, and a 2015 Windham-Campbell Literature Prize. He lives in North Carolina. The grant jury: Original, obsessive, impressive, immersive — The Prime Minister of Paradise shows us how our country became itself. Sullivan brings years of developing his craft as a reporter to weave a compelling whole even when the documentary evidence is fragmentary; he is a thrilling writer, every page a delight of fact and style. In prose that is distinct, intelligent and contagiously joyful, Sullivan is making a significant and generative contribution to both American social history and global intellectual history.